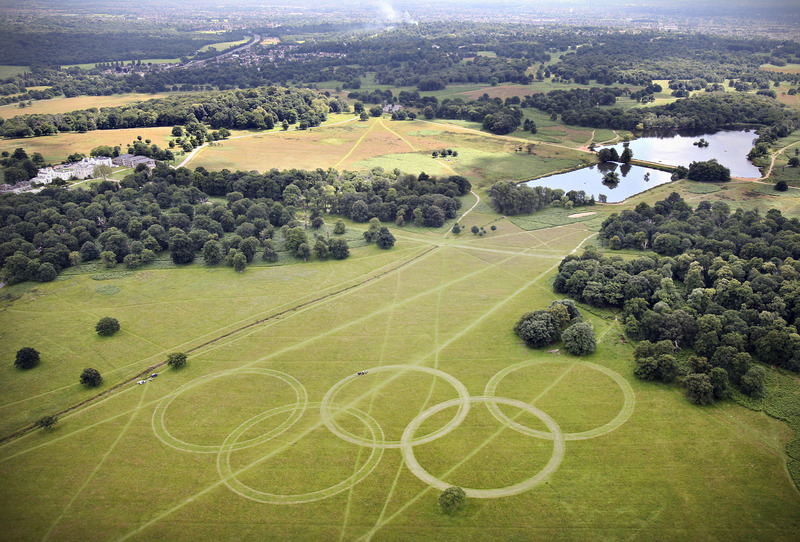 • The largest official Olympic Rings were unveiled at Richmond Park National Nature Reserve in London’s south-west this week, having been mown into the grass by the Royal Parks’ shire horses. The rings, which lie on Heathrow’s flight path and are 300 metres wide and more than 135 metres tall, will welcome athletes as they fly in to compete in the Games which kick off later this month. It took six shire horses to create the giant rings – which represent five continents – but they’ll be maintained by just two – Jim and Murdoch. Horses have worked in Richmond Park since as far back 1637 when King Charles I had the park enclosed as a royal hunting ground. 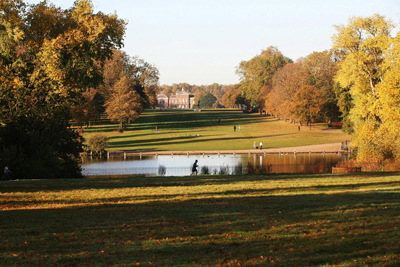 Eleven Olympic events will be held on Royal Parks during the Games including road race cycling in Richmond Park. For more on Richmond Park, see www.royalparks.org.uk/parks/richmond-park. PICTURE: LOCOG. • Almost 50 vehicles, ranging from handcarts to horse drawn carriages, steam powered vehicles to a new London bus, took part in the Worshipful Company of Carmen’s traditional ‘Cart Marking’ procession through the City of London yesterday. The ‘trade’ of carmen dates back to the 13th century when City authorities passed a bye-law controlling carters. At the ceremony, the carmen bring a variety of vehicles which are branded by placing a red hot iron on a wooden plate, with the year letter and the car number, in the continuation of an ancient tradition. The Worshipful Company of Carmen is said to be the oldest transportation organisation in the world. For more on the livery company, see www.thecarmen.co.uk. • The late athletics coach Scipio Africanus “Sam” Mussabini (1867-1927) was honored this week with the unveiling of an English Heritage Blue Plaque at his former home in Herne Hill in London’s south. Mussabini, whose role in helping 100 metre sprinter Harold Abrahams win gold at the 1924 Olympics was depicted in the film Chariots of Fire (he was played by Ian Holm), lived at the house at 84 Burbage Road from 1911 to about 1916. 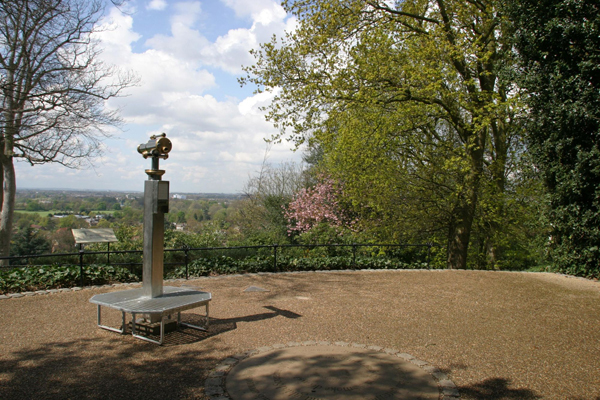 It backs onto the Herne Hill Stadium where he worked as a cycling and athletics coach from the 1890s, a period during which he trained several medal-winning Olympic athletes. All up, Mussabini’s runners won a total of 11 Olympic medals including five golds, between 1908 and 1928. For more, see www.english-heritage.org.uk. On Now: Double Take: Versions and Copies of Tudor Portraits. This display at the National Portrait Gallery features five pairs of nearly identical Tudor portraits and explores how and why they were made. Among the portraits from the gallery’s collection on display are those of King Henry VIII, his wife Anne Boleyn, Archbishop William Warham, the merchant Thomas Gresham and Lord Treasurer Thomas Sackville – all of which are paired with paintings on loan from other collections. Admission is free. Runs until 9th September. For more information on the Making Art in Tudor Britain research project – of which this is a part – see www.npg.org.uk/research/programmes/making-art-in-tudor-britain. • If you’re not too exhausted after last weekend’s Diamond Jubilee festivities (or if you’re looking for something a little more sedate), this Saturday and Sunday London plays host to Open Garden Squares Weekend. Among the 208 gardens to be opened this weekend is the communal garden at Number 10 Downing Street, home of Prime Minister David Cameron. Laid out in 1736, the L-shaped garden at 10 Downing Street is shared by residents of both Number 10 and Number 11, including Larry, the Downing Street cat (tickets for this garden have already been allocated via a ballot process). 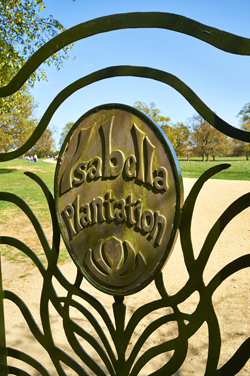 Among the more than 200 gardens open to the public as part of the weekend are 24 new gardens and, for the first time, the event is being supported by the National Trust (along with the usual organisers, the London Parks and Gardens Trust). Downing Street aside, other gardens open to the public include the Regent’s Park Allotment Garden, the Royal College of Physicians’ Medicinal Garden, the Kensington Roof Gardens, and the gardens at HMP Wormwood Scrubs. Tickets for the gardens are cheaper if bought online in advance of the weekend and picked up on Saturday or Sunday – it’s not too late to do so, so for tickets and more information, head to www.opensquares.org. • A new pair gates designed to mark St Paul’s Cathedral’s tercentenary were opened in Richmond Park for the first time last week. 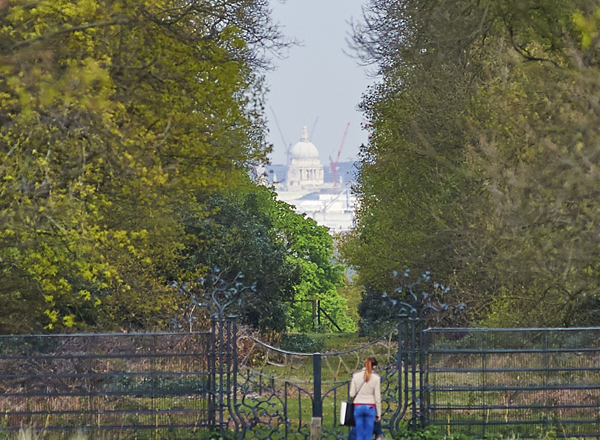 The gates, which now form part of the historic vista seen from King Henry’s Mound in Richmond Park when looking toward’s St Paul’s Cathedral, were designed by 21-year-old blacksmith Joshua De Lisle and funded through a donation from the family of family of the late environmentalist and The Ecologist magazine founder Edward Goldsmith. Called ‘The Way’, the gates stand on the fence of Sidmouth Woods, and depict oak branches. Sir Christopher Wren, designer of St Paul’s, is acknowledged through the inclusion of a wren on one of the lower branches. For more on the Royal Parks, see www.royalparks.org.uk. • Now On: Winning at the ancient Games. The British Museum is celebrating the London Olympics with a victory trail bringing together 12 “star objects” in its collection, united by the theme of winning. The ‘stops’ on the trail include a classical Greek statue of a winning charioteer on special loan from Sicily, a previously never exhibited mosaic showing Hercules, the legendary founder of the ancient Games, and the 2012 Olympic Medals. The trail is free. For more information, see www.britishmuseum.org. • Now On: Build the Truce. Drawing on the idea of truce that was implemented during the ancient Olympic Games to allow athletes from Greece’s warring cities to compete, this new display at the Imperial War Museum features films, interviews and insights collected during a project investigating the concepts of truce, conflict and resolution and their relevance in the 21st century. Highlights include excerpts of interviews with former IRA prisoner Seanna Walsh and former UDA prisoner Jackie McDonald -both now involved in peace initiatives in Northern Ireland, Courtny Edwards, who worked with a health service in displaced persons’ camps following civil war in Sierra Leone; and Professor Tony Redmond, who led aid teams in Kosovo following NATO attacks in 1999. 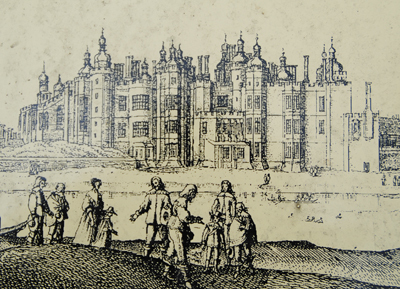 Family activities are being run in conjunction with the exhibition on selected weekends. Entry is free. Runs until 23rd September. For more, see www.iwm.org.uk. • An appeal has been launched to raise the final £500,000 of a £7 million project to restore Sir John Soane’s private apartments in his former home overlooking Lincoln’s Inn Fields in Holborn. Phase one of the three year restoration project, Opening up the Soane, is expected to be complete by late 2012 with the entire project – which will see all of the rooms open to the public – to be completed by 2o14. The eight rooms being restored in the project, all of which are located on the second floor of No. 13 Lincoln’s Inn Fields – one of three adjoining properties Soane owned , include the architect’s bedroom, bathroom, oratory and book passage as well as Mrs Soane’s morning room and a room containing Soane’s architectural models. The building already contains the Sir John Soane Museum which features an eclectic and at time outright strange mix of artefacts Soane, designer of the Bank of England (although it has since been substantially altered), collected during his lifetime. For more information, see www.soane.org. • Highland cattle will return to Richmond Park in autumn to help create patches of bare ground for wildflowers to grow after the success of a recent grazing trial. 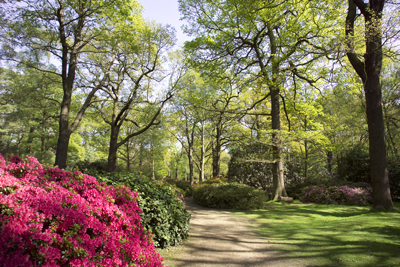 Richmond Park has the most extensive area of natural grassland in London and the type of grassland – known as ‘acid grassland’ – is a nationally rare habitat. 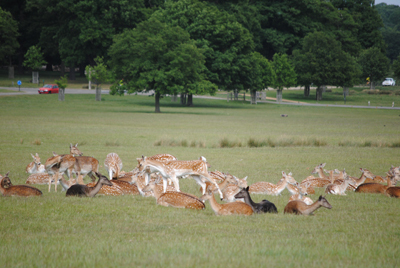 Richmond Park is already home to 650 red and fallow deer. For more information, see www.royalparks.org.uk. • On Now – A new exhibition of street photography in London has just opened at the Museum of London. London Street Photography showcases 200 candid images of everyday life in the city with images ranging from sepia-toned scenes of horse-drawn cabs captured by tripod mounted cameras through to the use of digital cameras in snapping images of 21st century residents. Among the 59 photographers whose work is on display is that of Paul Martin, who pioneered the idea of candid street photography in London in the early 1890s, freelance photojournalist Henry Grant who photographed London’s streets in the Fifties and Sixties, and Stephen McLaren, known for his contemporary “quirky and colorful” street images. Entry is free. The exhibition runs until 4th September. For more information, see www.museumoflondon.org.uk. 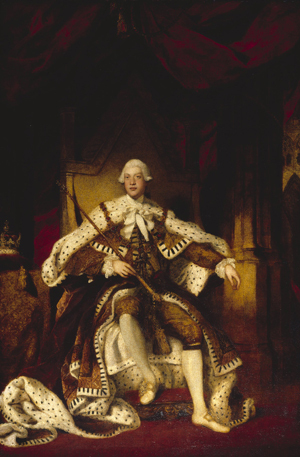 • On Now – The first major exhibition in 30 years of the work of EO Hoppe has opened at the National Portrait Gallery. Hoppe, who lived from 1878 to 1972, is considered one of the most important photographers of the early 20th century and is described as the “prototypical celebrity photographer”, shooting among others Margot Fonteyn, George Bernard Shaw, King George V, David Lloyd George and Ezra Pound. He also published the Book of Fair Women – photographs of women he believed to be the most beautiful of earth – in 1922 and in the Twenties and Thirties increasinly spent time outside the studio photographing street life. Hoppe Portraits: Society, Studio and Street runs until 30th May. For more information, see www.npg.org.uk.